#10 Frank Gore – The Saints DEF is proving worthy but the SF offense still is finding ways to win without a good offense. Although this game clearly goes to the Saints, Gore may put up solid numbers this week. #9 Ben Tate – He is going against OAK so let the REVERSE play action affect happen. They will throw so much when they run OAK won’t see it coming and he will get those big chunks of yards and maybe a score. #8 Andre Brown – He proved the Giants CAN have a two dimensional offense and hopefully make something of it. He will be putting the ball in the end zone this game somehow against GB. Expect a W from the Giants because of this man here. He will open Eli to be a better QB. #7 Knowshon Moreno – If Peyton starts hurting the ball is going to be run or put on the screen. He is getting those short passes all day in the first half of the game and don’t expect that to change. #6 Rashad Jennings – Another person proved himself to me which is why I have him so high compared to the previous men on this list. Hopefully he can keep the job because he is an asset for the future of this team. #5 LeSean McCoy – Shady is ready to explode and put the skins to bed in the division with a win this week. Get ready for Foles to start throwing the screen now that secondaries will be after him now. #4 Adrian Peterson – He has shockingly not been our #1 so often. With such a bad offense teams are stacking the box and he still is making plays to be a top 5 RB. He is the most talented player in the league above Peyton and Calvin in my opinion but this week is just at number 4. 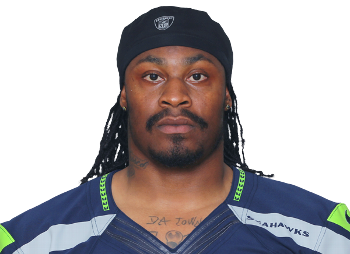 #3 Marshawn Lynch – RUN BABY RUN. Going against MIN and being the only real threat in the offense now if they stack the box Wilson will probably test out his new receiver this week. Once they get burned there they will prefer the ball being ran heavily in the second half. #2 Reggie Bush – PPR KING HAS ENTERED. Going against a team with a weak run DEF and where you have a deep threat like Megatron the field gets cleared up when the secondary has other things to worry about. #1 Jamaal Charles – Time to score, slow down the pace, and lead your offense this week! Get ready for a crazy Sunday night showdown! Let him run because if you don’t Manning will play against a tired DEF or your second stringers. Look for a big fantasy week. Does Relocation Help Today’s NHL?